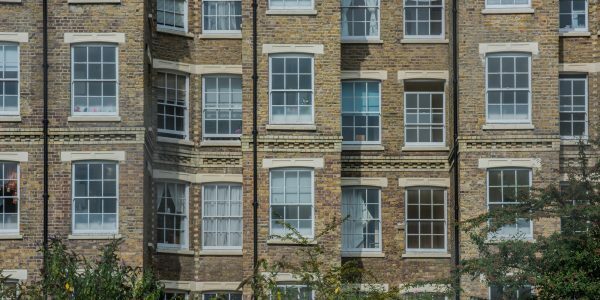 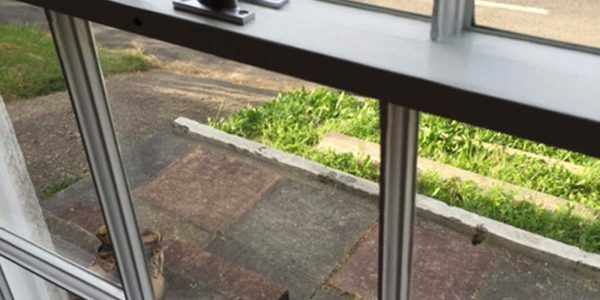 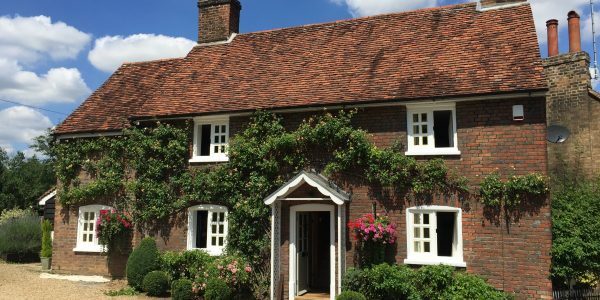 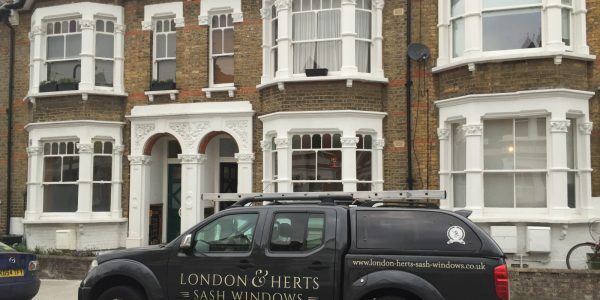 The London & Herts Sash Window team recently undertook a project in Highgate in North London where the timber sashes were rotten and in need of serious repair by our expert craftsmen. 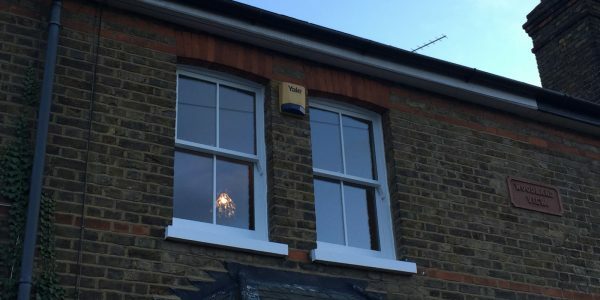 This property had a classic case of rotten timber within the corners of the sash frames. 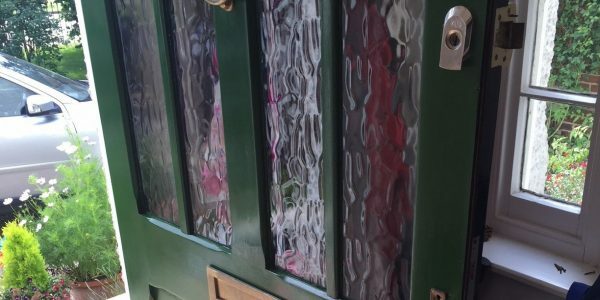 Having been left for many years without treatment, it was time to address the problems of rot. 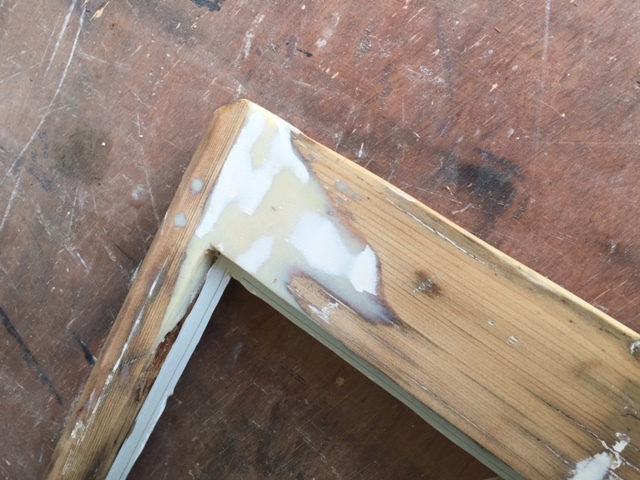 Rotten timber both in the sash frames and within the box can be repaired using an epoxy resin, which once decorated you would not know the window had been repaired. 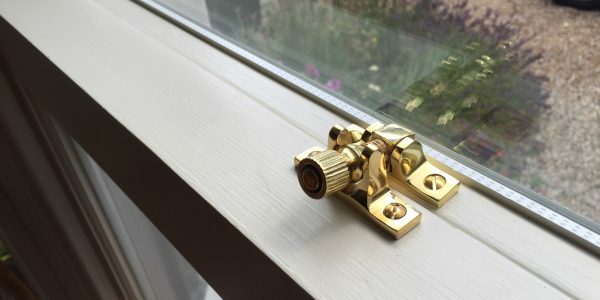 If there is still a sufficient amount of structure within the timber around the rotten areas, as was found here in Highgate, then a sash window rot repair using epoxy resin is by far the best solution over replacing windows or sections of timber. 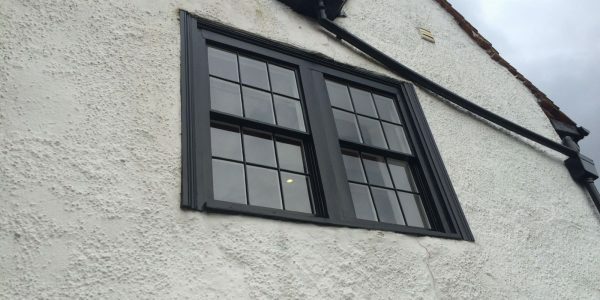 The rot repair involved removing all rotten timber, if the timber is wet with moisture, this will be dried out and hardened, ready for the resin. 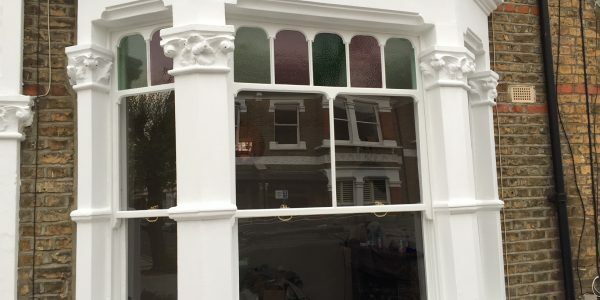 Before the resin was applied the area of timber had all paint removed and was sanded flat. 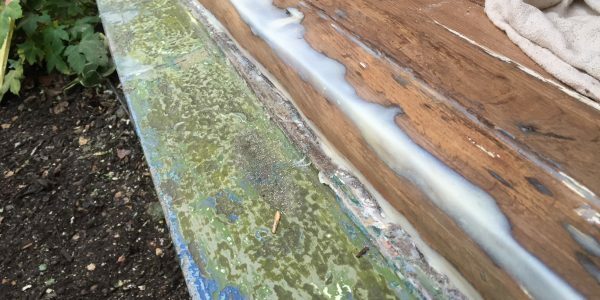 The epoxy resin was applied and fills the areas that were left following removal of the rotten timber. 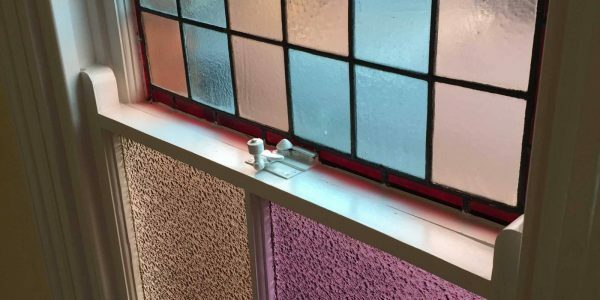 Once the resin cured, which can take around 4 – 5 hours, the resin was sanded and shaped to sit flush with the timber structure surrounding it. 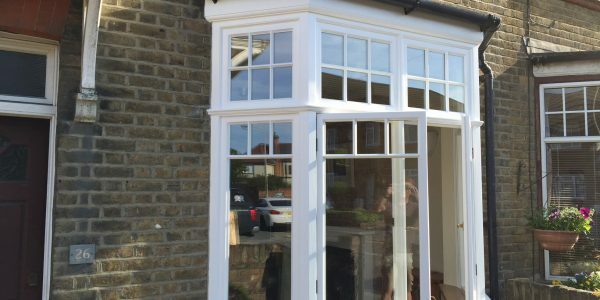 Following this the area was painted with primer and multiple top coats to bring the window back to life and as good as new! 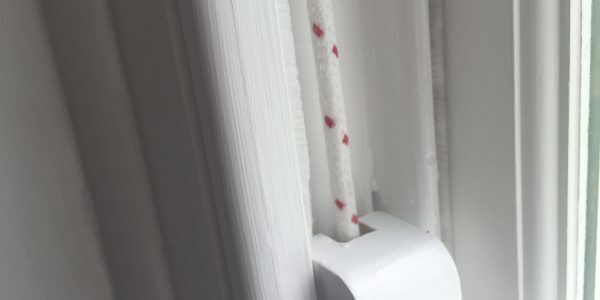 As the frames are removed from the box and the sash cords cut for rot repairs such as this, the windows will be installed with new high quality sash cord, and we would advise this as a great opportunity to install draught proofing while the window is being worked on. 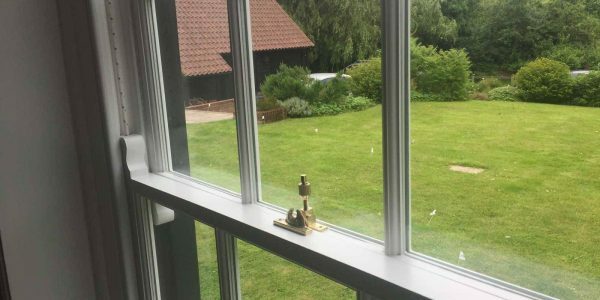 Get in touch today to talk with us about restoring and draught proofing your sash windows.